MANILA – A number Filipino nurses and caregivers who seized the opportunity to train in Japan to work there have ended up returning to the Philippines, including some who passed the tough licensing exam. “The journey to becoming a nurse in Japan was indeed a mission impossible. . . . We were very tired physically, mentally and emotionally while studying to pass the board exam and working at the same time. All of us were pushed to study even on our rest day,” a Filipino nurse who quit only a year after his deployment in 2011 said recently. The 33-year-old nurse, who requested anonymity so he could freely express his views, is among more than 1,200 Filipino nurses and caregivers who were accepted by Japan starting in 2009 under the Japan-Philippines Economic Partnership Agreement. Under the program, nurses and caregivers from the Philippines first learn the Japanese language and culture, undergo training in Japanese health facilities, and then take the Japanese licensing exam in their respective profession. Candidates who pass are granted a working visa, allowing them to both work and help graying Japan address its growing shortage of health workers at the same time. A fresh batch of 60 nurses and 275 caregivers is about to complete a six-month Japanese language and culture course in the Philippines before deployment to Japan in June. “Learning the language alone is already difficult, and it’s all the more grueling trying to pass the exam,” the Filipino nurse, who has already migrated to another country after returning from Japan, said in an email message. He complained also of a change in the payment terms in his contract when he started working in the Japanese hospital. To encourage candidates to complete the program, he said they should be allowed to shadow their Japanese counterparts as they perform their jobs, instead of getting assigned tasks usually performed by orderlies or janitors. “If I could turn back the clock, I would have not chosen to sacrifice my career as a public nurse back home and my family life,” the Filipino nurse said. 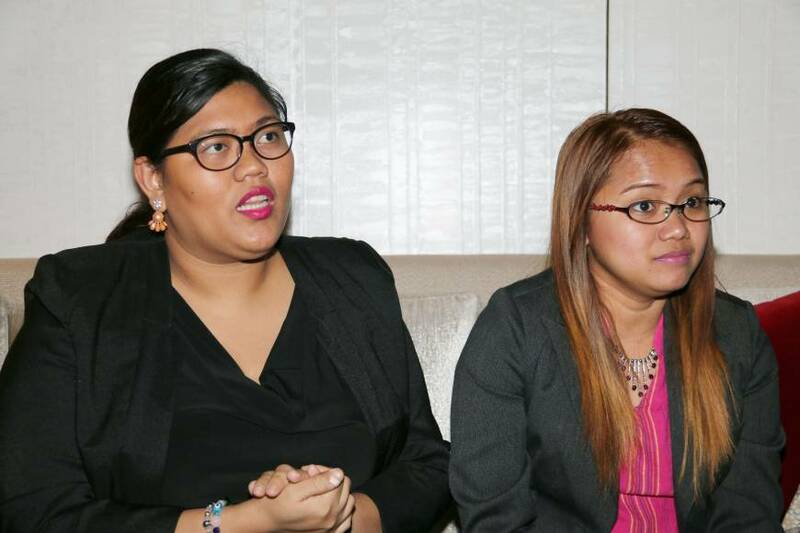 Filipino caregivers Aira Ignacio and Bernadette Villanueva, speaking in a separate interview, also attested to the difficulty of working and studying at the same time when they entered the program in 2011. Ignacio, who is a licensing d nurse in the Philippines, was assigned to a facility in Okinawa, while Villanueva, 29, went to a facility in Hamamatsu, Shizuoka Prefecture. But unlike the other nurse, Ignacio and Villanueva endured the challenges of their three-year training program and passed the licensing exam for caregivers in 2015. Both said that while their respective facilities supported them in their studies while they worked, they also had to study in their free time just to make sure they passed the exam. But passing the exam did not lead to a significant increase in pay, contrary to their initial expectations. For this reason, coupled with personal ones — recurring back pain and wanting to be reunited with her family (Ignacio), and marriage plans (Villanueva), the two decided to return to the Philippines last year. Equipped with Japanese skills, the two now have relatively high-paying jobs in Manila as interpreters in hospitals for Japanese patients who cannot speak English. The two agree that their present circumstances are much better than if they had continued working in Japan as licensed caregivers, because aside from the good pay, they are also living with or close to their respective families. Being able to continue speaking Japanese and working in the medical field are additional benefits. But amid their difficulties in Japan, Ignacio and Villanueva said there were plenty of positive things they will never forget, foremost of which is the sense of achievement of overcoming the physical, mental and emotional challenges as affirmed by their successful shot at the licensing exam. “Living in Japan is not like being in heaven. There’s loneliness, homesickness. But when I felt the desire to go home before, I just thought right away of the reason why I went there,” Villanueva said. “We advise them to have lots of patience, because you really have to study and work at the same time,” Ignacio added. The two admit to being open to the possibility of returning if the right offer comes, noting also how they miss the clean environment, the politeness of the Japanese, and the efficiency of the public transport system, among other aspects. According to official data, just over 160 of the nearly 200 Filipino nurses and caregivers who passed the Japanese licensing exam from 2010 up to 2015 are working in Japan. For this year, 56 Filipino caregivers and nurses passed, but there are no data immediately available as to how many of them are employed in Japan. The Japan International Corporation for Welfare Services, which directly handles the program on the part of Japan, said the most common reasons cited by those who passed the exam but decided not to work in Japan are personal and family issues, particularly the desire to just be close to and take care of their parents.